Your girls will learn about responsibility and pet ownership by practicing with a cute plush frog. 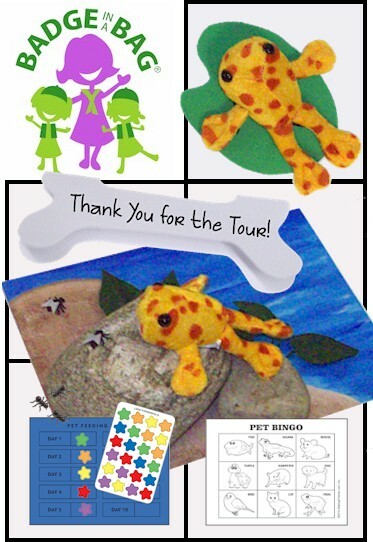 With the Pets Badge in a Bag® from MakingFriends®.com your girls can complete the Brownie Pet badge in about 1.5 hours. Your girls will also love to take a trip to a local vet or pet shop. 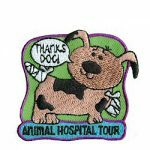 If a trip is not possible, make the included thank-you notes for an animal shelter or other association who help pets stay healthy. The Pet Badge in a Bag® from MakingFriends®.com will help your troop complete the five requirements for the Brownie Pet badge. 12 reviews for "Pet Badge in a Bag®"
We used the Pets badge pack in our combined Daisy/Brownie troop. The Brownies earned their Pets badge and the Daisies earned their Responsible for What I say and Do petal. I would recommend this badge in a bag. Enjoyed the bag items except not all the stickers were the same for feeding the frogs. Other items were good. Received all in time for our meeting. The girls loved that they could pick different color frogs. They weren’t too sure about the “flies” until I asked them how will you feed your frog? We did this Pet Badge in a Bag at camp, it was just perfect all around. Each girl was sent home with their “kit” to feed their frog through the summer. And learn to take care of their frog. My girls loved the Frog pets. We played games with their frogs, leap frog, musical froggy, and then they got to feed their pet, they each named their pet, and a few of the girls made collars with their pets name on it. Each girl decorated the frogs home (Lily pads) and took home and made a nice place for their pet to live. We asked every girl to take pet home and feed everyday, flies which came with the kit. Then girls had to be responsible and bring their pet back to meeting so we could finish the badge. All the girls followed directions and even a few still bring their pet to the meetings. We added a few extra activities to go along with kit but overall this kit made planning my meeting so much easier and the girls loved it. Thanks Makingfriends! 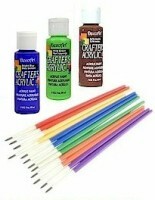 The kits are going to be a lot of fun to use with my Brownies. The only complaint I have is that in the picture there were plastic flies to feed the frogs. When the kits arrived there were stickers of bees. The activities in the Pet Badge in a Bag were great. The girls loved the stuffed animal frogs and lily pads..so cute!!! They really enjoyed creating a habitat for their frogs and liked that the kit came with a feeding schedule for the frog as well as bug stickers to use for the schedule. The thank you cards shaped liked dog bones were adorable. They used them to create thank you cards for the pet store tour we recently went on. They will be using the remaining cards as thank you cards for our upcoming animal shelter tour. The troop wants to bring their frogs and lily pads to our next meeting so they can play games with them. The Pet Badge in a Bag really helped cut down on the time it takes me to prepare for a meeting. Looking forward to using other Badge in a Bag activities. This could definitely use a more educational approach. This teaches very little about the actual care of pets. This Badge in a Bag was a great find. I am not the most creative person and would have never thought to put a project together like this. My girls loved it. My girls found earning this Badge was fun and easy. They loved pretending to feed their plush frog and loved naming it. We used these kits for Badge Workshops at an event. They were great to have all of the items needed. Would suggest that you do some research on the cost of purchase, care and feeding of the different pets to have for your meeting. 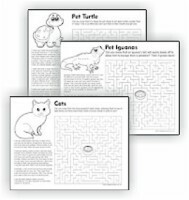 I would also download the pet sheets. The frogs are great the girls really like them, only issue is it would be better if they were all the same color in the kit, so you don’t have issues with colors. 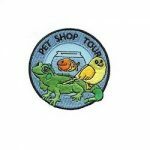 We loved thevery Pets Badge in A Bag! 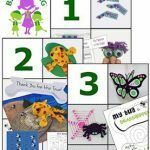 The frogs were an awesome way to have the girls be responsible for caring for a pet and the downloadable fact sheets made the Bingo game pretty awesome. Thete were so many pets and our girls learned a bit about caring for the diffetent species. We finished off our badges requirement by going to our local Horse Protection League to help groom horses and muck stalls!